To the end, he signed first name and nickname. 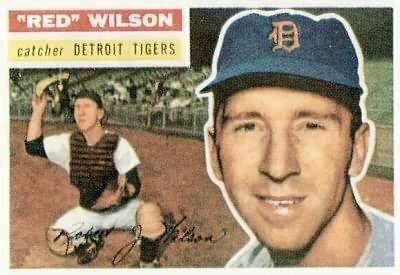 Bob “Red” Wilson passed away Aug. 8. He didn’t write me the longest reply in 2010, but it was one of my most memorable returns. I wasn’t alone. The last check at the ever-reliable www.sportscollectors.net says that Wilson signed 131 out of 135 requests. The 1950s players are going fast. They feel a special obligation to fans, even those not born when they played. Plus, so many from that decade never stopped being fans. Wilson wasn’t big on discussing himself. Ask about Frank Lary or Al Kaline, and he lit up. When you’re writing to the men of the 1950s, don’t forget to ask about the stars they admired.